Nine-year-old Zianna Oliphant had not planned to speak on behalf of her whole city. When she did, she got the world’s attention. 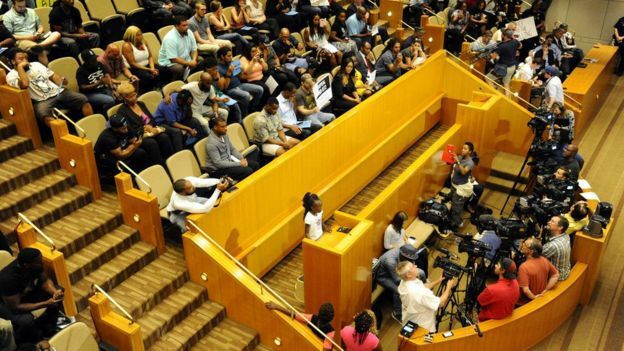 It had been only a week since the fatal police shooting of a black man when Zianna began to speak before Charlotte City Council. 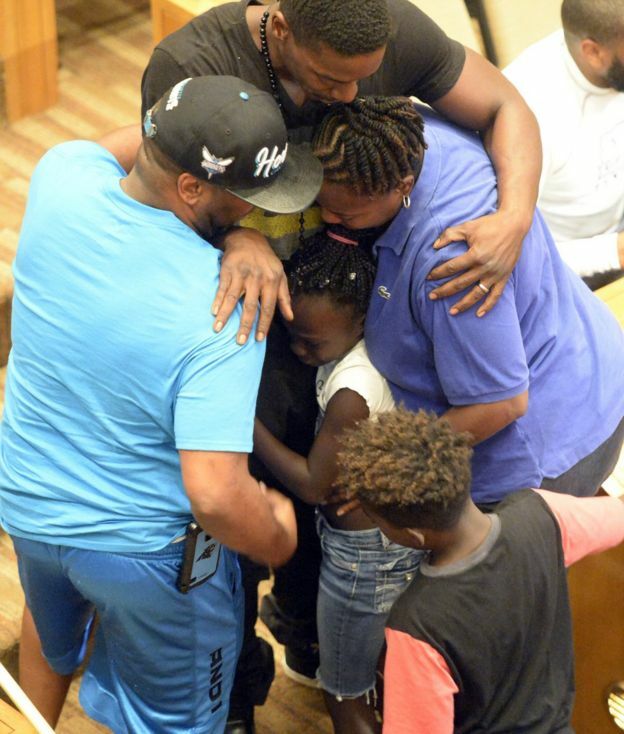 Dozens of people spoke angrily before her at the Monday night meeting in the North Carolina city, calling for political resignations and denouncing police. “We are black people and we shouldn’t have to feel like this,” the young Charlotte native declared tearfully. Zianna’s mother Precious Oliphant later said the speech was unplanned. Protests raged in Charlotte for several days after the police killing of Keith Scott, a black man who witnesses say was unarmed when he was shot by police. Police say that he did have a weapon, and that they recovered a handgun at the scene. “All we want is just to have our equal rights and we want to be treated the same way as other people,” Zianna said in an interview after school the next day. “I was a little nervous, so I decided to just go up there and tell them how I feel,” she told NBC News. Wearing a T-shirt decorated with a rainbow-coloured skull-and-crossbones, the girl could barely be seen over the podium. Another schoolboy who spoke at the meeting lowered the microphone so that the chamber could hear her words. The video quickly went viral, with celebrities and international news outlets reposting it online. Colin Kaepernick, the American football star who has drawn attention for his protesting of the national anthem, posted the video on his Instagram feed. “I don’t have enough words to describe how painful this is to watch,” the quarterback wrote. “Dear #ZiannaOliphant i am sorry that this world has made you feel like you don’t matter. You matter darling girl more than u will ever know,” wrote British actress Cynthia Erivo. Young Zianna Oliphant rebukes Charlotte mayor over police shootings 0 out of 5 based on 0 ratings. 0 user reviews.